BioActive Silica delivers food grade silica in a liquid form with Aloe Vera Gel. It allows flexible dosing and is a rich source of silica suitable for the whole family. BioActive Silica is derived from MMST (potassium salt), which releases orthosilicic acid, the most easily absorbed form of silica. Clinical research shows that silica from MMST is absorbed four times better than any other supplemental source. Silica may support bone matrix quality and bone density, as indicated in many scientific studies. Silica is an important component of the collagen in growing bones that typically declines with age. Healthy collagen is rich in silica to help nourish the bone matrix and support remineralisation. Silica may also support healthy joints, cartilage, ligaments and tendons, thus may be useful for active people, athletes, convalescents, and the elderly. Soft, brittle nails and dull, thinning hair can indicate systemic silica deficiency. Thus supplementing with silica may support strong, healthy hair and nails. Silica may be beneficial for ageing and damaged skin due to its effect on collagen synthesis. Collagen is essential for the skin’s healthy appearance and elasticity. BioActive Silica is manufactured in a GMP (Good Manufacturing Practice) certified plant and is free of toxic excipients. 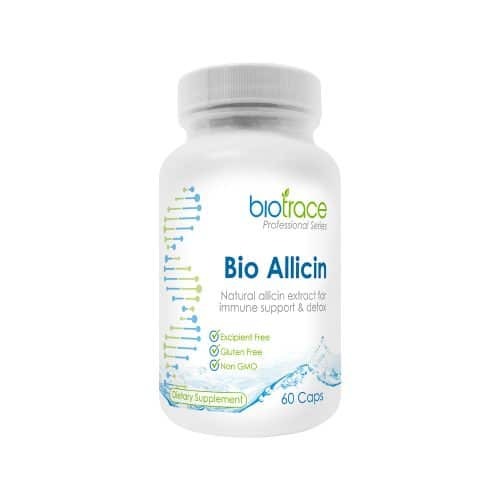 BioTrace Elemental Boron is a concentrated liquid dietary supplement that provides boron, a trace element, in ionic form – a form thought to be more readily absorbed by the body. 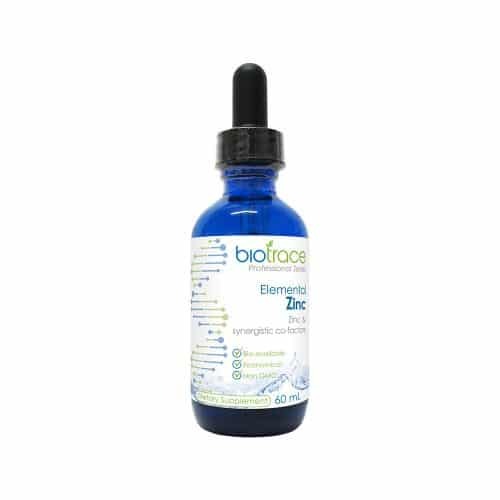 Elemental Boron also contains concentrated mineral drops (CMD), naturally sourced from The Dead Sea in Jordan, providing up to 72 trace elements that may be missing from the diet. Boron has only relatively recently been established as a mineral of nutritional significance to humans and animals. Boron is an essential co-factor for normal bone metabolism. Adequate levels of dietary boron are thought to play a significant role in calcium and bone metabolism, to help support healthy bone mineralisation and strong, cavity resistant teeth. One research study showed that supplementing with boron supports calcium and magnesium absorption and retention in elderly people. Dietary boron may also support healthy brain function and hormonal balance. Our BioTrace Liquid Elemental range provides affordable, flexible dosage options of many essential minerals. BioTrace Elemental Chromium is a liquid dietary supplement that provides chromium, an essential trace mineral, in ionic form – a form thought to be more readily absorbed by the body. Elemental Chromium also contains concentrated mineral drops (CMD), naturally sourced from The Dead Sea in Jordan, providing up to 72 trace elements that may be missing from the diet. Scientific research shows that Chromium may support healthy insulin and blood sugar levels, thus may be useful for people with sugar cravings or those who need support for blood sugar balance. Research suggests that Chromium may support healthy brain function in elderly people. BioTrace Elemental Magnesium is a concentrated liquid supplement that provides 100mg of Magnesium per serve, in ionic form. This is the form most recognised by the body. Elemental Magnesium also contains concentrated mineral drops (CMD), naturally sourced from The Dead Sea in Jordan, providing up to 72 trace elements that may be missing from the diet. Observations of reduced dietary magnesium intake in modern Western countries compared to earlier generations may be related to food refining and modern fertilisers that contain no magnesium. Magnesium is an essential cofactor for more than 300 chemical reactions within the body. It may support the body with normal energy levels, sleep and mood balance, adrenal gland health, immunity, brain function, muscle function and other bodily functions adversely associated with stress. Magnesium supports the absorption and assimilation of other minerals including calcium, phosphorous, sodium and potassium and vitamins such as B Complex Vitamins, Vitamin C and Vitamin E.
Mineral deficient soil can make it hard to get the recommended daily intake of minerals from our food. Elemental Multi-Trace (with copper) offers flexible dosing and bio-available multi-minerals for the whole family. Elemental Multi-Trace (with copper) contains concentrated mineral drops (CMD), naturally sourced from The Dead Sea in Jordan, providing up to 72 trace elements that may be missing from the diet. BioTrace Elemental Multi-Trace (with copper) provides 100% of the Recommended Daily Allowance (RDA) of zinc, selenium, copper, manganese, chromium and molybdenum, plus boron, magnesium and sulfate in soluble, ionic form – a form thought to be more readily absorbed by the body. Copper is an essential element that may support hormone balance and iron absorption in copper deficient individuals. Use this product only under the guidance of a qualified health practitioner. BioTrace Elemental Multi-Trace provides 100% of the Recommended Daily Allowance (RDA) of Zinc, Selenium, Manganese, Chromium and Molybdenum plus Boron, Magnesium and Sulfate in soluble, ionic form – the form most widely recognised by the body. Elemental Multi-Trace contains concentrated mineral drops (CMD), naturally sourced from The Dead Sea in Jordan, providing up to 72 trace elements that may be missing from the diet. Elemental Multi-Trace offers flexible dosing and bio-available multi-minerals for the whole family. Elemental Multi-Trace has minimal flavour when mixed with water or juice. BioTrace Elemental Minerals are formulated to provide nutritionally significant amounts of specific critical minerals and trace minerals including: Boron, Chromium, Magnesium, Selenium and Zinc. These minerals may support heart health, bone health, digestive health, energy production, and hormone balance. 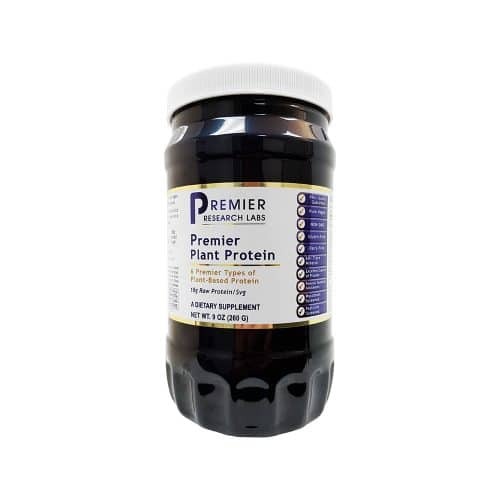 BioTrace Elemental Selenium is a liquid dietary supplement that provides selenium, a trace element, in ionic form – a form thought to be more readily absorbed by the body. Elemental Selenium also contains concentrated mineral drops (CMD), naturally sourced from The Dead Sea in Jordan, providing up to 72 trace elements that may be missing from the diet. Selenium is an antioxidant mineral that is found in minute quantities in most tissues of the body. Selenium is an important co-factor for glutathione production, and is most concentrated in the liver and kidneys where it supports excretory organ function. Selenium may also act an antioxidant for the brain, thus supporting healthy brain function. BioTrace Elemental Zinc is a concentrated liquid dietary supplement that provides Zinc, a trace element, in ionic form – a form thought to be more readily absorbed by the body. Elemental Zinc also contains concentrated mineral drops (CMD), naturally sourced from The Dead Sea in Jordan, providing up to 72 trace elements that may be missing from the diet. Zinc is an essential element that may support normal growth and development, reproduction, immunity, vision, digestion, detoxification, metabolism, and hair, skin and nail health. Zinc aids the absorption of Vitamin A which may support a healthy immune system, healthy skin and good vision. Zinc is an important cofactor for adequate stomach acid levels and may also support normal intestinal flora populations. Zinc is most concentrated in the prostate gland and may support male reproductive organ health. BioTrace Elemental Zinc & Copper is a liquid dietary supplement that provides zinc and copper, in ionic form – a form thought to be more readily absorbed by the body. Elemental Zinc & Copper also contains concentrated mineral drops (CMD), naturally sourced from The Dead Sea in Jordan, providing up to 72 trace elements that may be missing from the diet. Zinc and copper are essential trace minerals that are closely linked and play important roles throughout the body.